11th Birthday Celebration – Day Two!!! Good morning! It's Day 2 of our birthday celebration the the party is just getting started! If you missed Day 1, be sure to join us here! Today we are thrilled to have Design Team Member Paige Evans joining us with a beautiful layout featuring birthday pinwheels! Be sure to also see Paige's process video which is linked below! "I've seen pinwheels making a comeback lately and I wanted to give them a go again! But, I really didn't want them to be too thick – bulky embellishments means I can't fit as many pages into a scrapbook and I need all the space I can get! So, I made them only 1/8" thick! Sure it was a labor of love, but I got the results I was hoping for, so it was 10000% worth it! I started by trying to figure out if this technique was even possible in such a minute scale. Using a scoring board I scored every 1/8" on one of the papers from the Oh My Heart 12×12 Paper Pad – there are 6 papers that have rose gold foiling and 6 that are die cut and ready to layer! I used the tiny rose gold hearts paper and attempted to make a thin rosette. Let's just say I gave up on the first attempt. Then I made one that had scored lines every 1/4", but like I predicted, it was just too thick for my layout, albeit much much much easier to make. I tried again at 1/8", this time not trying to rush the process and tweaked my folding technique until I got it right! Once I figured out how to make one, I couldn't stop. I varied the width of the papers to get different sized rosettes. My favorite part is seeing the new pattern that emerges when the paper is looped together – I LOVE the top right rosette on the layout – that paper is triangles of color but look at the beautiful design it makes once it's a rosette! Swoon. After all the rosettes were made I picked a background paper. Since I chose Oh My Heart papers that were mostly bright colors on a white background for the rosettes I needed a darker background to help them stand out and become the focal element. I hadn't used the periwinkle stripes paper yet and it looked beautiful as the background so that was that! I splashed white acrylic paint over the background and let it dry. Then I layered the rosettes on top, trying not to overlap them a whole lot because that would have defeated the purpose of making them so thin haha. I punched three photos of Jane on her birthday into 2" circles and matted them with white cardstock. I made them circles to continue with the round theme – round rosettes, round splashes, round photos. Next I tied a rainbow of baker's twine into bows and added one to the center of each rosette. On the largest rosette I created the title with Thickers and mini alphabet stickers. I fussy cut a white scalloped border from a 6×6 paper, stamped journaling lines above, and wrote my journaling to finish! Thank you Paige! Beautiful work! Happy 11th birthday Scrapbook & Cards Today – we’re just as happy to celebrate number 11 with you as we were number 1! In honor of your birthday, we’re excited to offer one lucky reader an assortment of products from our new Domestic Bliss collection. Embrace the mess & document your own ‘home sweet home’ with Domestic Bliss! The cheerful palette of pinks, blues, yellows & greens paired with bright pops of navy & playful graphics create the delightfully fun, tongue-in-cheek collection that will make all of your crafting projects shine. Congrats to our friends at Scrapbook & Cards Today on their 11th Birthday Celebration! To show our gratitude at being part of the celebration we’re giving away not one but TWO yes.. TWO $50 gift certificates to our online store! Shop for our NEW Deco Foil Transfer Gel that gives dimension plus unbelievable shine plus over 30 colors of Deco Foil Transfer Sheets! And that’s not all…pick up our new Rebekah Meier Mixed Media collection as well. There’s so much to chose from and it’s our way of celebrating with you our fans and friends! 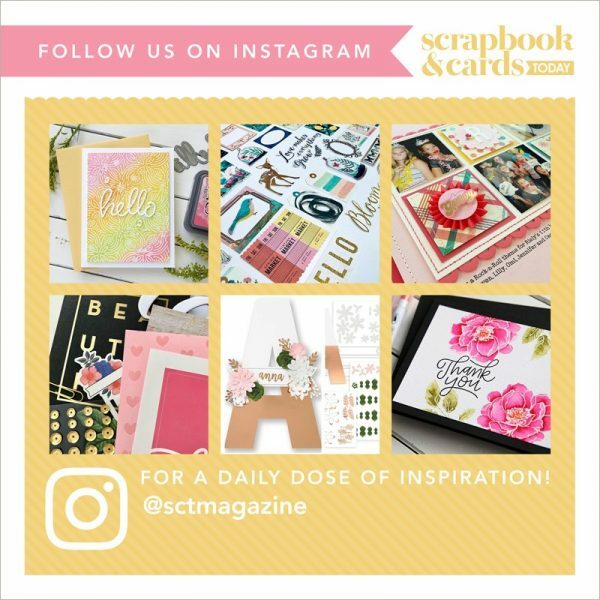 Happy Birthday Scrapbook & Cards Today! Here’s to many more! Visit our blog for project ideas at: www.thermoweb.com/blog And be sure to follow us on Facebook and Instagram too! Happy birthday to our friends at Scrapbook & Cards Today! We would love to share our Lift Me Up Clear-Mount Bundle which includes Lift Me Up Clear-Mount Stamp Set and Up & Away Thinlits Dies. In addition, we have the Carried Away Designer Series Paper! The Lift Me Up Bundle coordinates perfect with the Designer Series Paper, Carried Away, offered in this year’s Sale-A-Bration. Grab yours before the end of Sale-A-Bration, March 31st. WOW! Amazing prizes! Thank you Simple Stories, Therm O Web and Stampin' Up! for not only these generous prizes but the amazing support for our 11 years! For an opportunity to win today's prize package, be sure to leave a comment below by March 31st! Winner will be announced on April 3rd! Good luck! Please also take a moment to visit our sponsors on their Facebook pages with a big SCT "THANK YOU!!!" They always love hearing from the best readers out there! Please be sure to join us tomorrow for Day 3! You sure won't be disappointed!!! Wow-amazing prizes! Congratulations on your 11th birthday! Happy 11th Birthday! Amazing prizes! Thank you Simple Stories, Therm O Web, and Stampin’ Up! for being part of SCT’s 11th birthday celebration and for the generous prizes. Thank you Simple Stories, Therm O Web and Stampin’ Up for these awesome prizes! I would love to win any of them! More amazing prizes! You sure know how to keep us engaged!! The Stampin up balloon set is simply to die for! …pun intended! Amazing prize packs from your partners! Happy day 2 of celebrating your 11th SCT! Wonderful prizes for day 2! Thanks to all. Thanks Paige for the pinwheel instructions. They are so cute! No excuses now lol. Oh my Paige, I love that page. Those pinwheels are so fun and full of colour and how precious to have the photos of the little sweetie cut into circles and see her peeking around the pinwheels. Thank you SCT for sharing the page and all the inspiration. Wow, this pinwheels are impressive! So are the prices! Amazing day 2??? Such great prizes and loving those rosettes! Your layout is certainly like a burst of fireworks, totally awesome. What a fun happy celebratory page. Thank you. Your prizes are so great and to win todays giveaway would be a real time to celebrate. Congratulations on 11 years. No surprise there, you will certainly have another 11 and then another 11 and then…. Great prizes, love everything that these companies offer. I always love other people’s birthdays. So much easier to remember! Congrats & many more years of bringing us great pages! this layout omg…….awesome!!!!! Thank you so much SCT for a chance to win some great goodies….and Happy Birthday!!!! I agree amazing prizes. Love the video. You really do have patience for the 1/8″ scoring for the rosettes, but I do like that they flatter. Your paper choices are so springy. I like how you highlighted your journaling because eith so much going on the page-rosettes, papers, etc. your journaling would have been lost. I just love the finished results. Oh that page is so pretty! I love all the rosettes and the colors are sublime! Thank you for a chance to win three fabulous prizes! Wow! What great prizes and ideas you share! It’s always fun to open your emails! Gorgeous projects today with three very generous sponsors! Thanks to all. I feel amazing things ahead for SCT! Happy 11th. Congratulations on 11 wonderful years! Great prizes! Happy Birthday! Thanks for a nice selection of products and fast service! Day 2! As awesome as always! Thanks for sharing your celebration with your readers! Cheers to many more years!! Wow…….great layout for birthdays !! Will definitely be making one . Thanks sponsors for the great prizes. Beautiful rosette layout…inspiring me to make some and use them on a future layout. Great prizes! Wonderful prizes. Congrats on 11 exciting years of crafting fun. I love Paige’s rosettes – so pretty! What an amazing day of giveaways – so fun! Wow! That is one wonderful layout! I’ve made pinwheels before but I’m not sure I have the patience to make that many tiny ones! 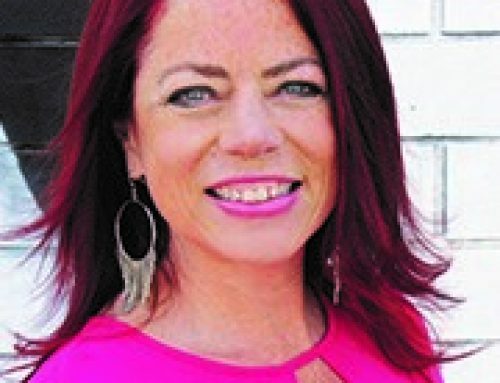 Thank you, Paige, and SCT for such inspiration! Happy 11th birthday! My first issue came in the mail yesterday – so excited! Happy 11th Birthday! What amazing prizes from great sponsors. Just adore the beautiful layout. I love birthday celebrations when the guests get the presents! Thanks to each of the companies for donating beautiful prizes and thanks to Scrapbook & Cards for celebrating for 11 days. Congrats bringing 11 years of joy to scrappers and card makers. Oh my goodness, another chance to win the awesome Domestic Bliss paper pack from Simple Stories! Would love to win, the vacumn just makes me giggle! Love the Balloon Die, stamp set and paper from Stampin Up. THey make incredible bundles that all match so perfectly! Another wonderful day!! Thanks to the amazing sponsors! another day of great prizes! TFS! I love the pinwheel idea – so pretty! Thanks for the chance to win! Love this layout! Thanks for the inspiration. Thanks also for the chance to win such a generous giveaway from these great companies. Wow! Day 2 has overwhelmed me with such great prizes! Love them all! Thanks! That is one festive and colorful layout, perfect for a 4th birthday! Love the pinwheels–so bright and cheerful! Congratulations on 11 years!!! Thank you for another day of awesome prizes….? Fantastic prizes! Can’t wait to see what Day 3 surprises us with! Thank you and happy 11th! Love the layout and the super cute pictures! Thanks for the great prizes! Such a beautiful project. Love this. WOW what an amazing set of prizes! I LOVE SCT & am so happy to wish you a happy 11th birthday and looking forward to many many more! Super fun layout and cards. Thanks for the video! And thanks for the chance to win some fabulous prizes. Beautiful layout, I love rosettes but always have a hard time making them thin! Thanks for the chance! 11 years young! Congrats to the whole team! I hear you, Paige, about those thick embellishments. Thanks for the tips and tricks. Great Prizes would love to win. Have an idea what to use them on already. Fingers crossed. Those prizes are amazing! I have been admiring both lines. Congrats on 11 years! I would be excited to win any of these fabulous crafting goodies! Thanks! Another day of great ideas and fun prizes. I like the idea of making thinner pinwheels and using multiples to create a textured and dimensional layout. Beautiful projects today!! Happy day 2 of your celebration ? I love Paige’s amazing project!!! Amazing prizes! Loved the pinwheel page. Happy 11Th. Thank you for introducing me to Simple Stores I love the colors and graphics My Mom has Alzheimers and the domestic bliss collection is perfect for the memory book I am creating to help her remember the simple day to day things. The pinwheels add a special spark to any card or scrapbooking project. Thanks for showing them off Paige! Again, thank you to the sponsors. I am so loving the Domestic Bliss line! Oh my! Happy 11th Birthaversary! Another awesome craft to make and even more awesome party treats today! So in love with it all! I am feeling spring vibes off these colors and I love it!!!! Happy Birthday! Awesome prizes. That hot air balloon set is beautiful. Love the Medalion layout, don’t know that I have the patience for that many, but love the look. Congrats on 11 years. Happy birthday! Thanks for the great rosette idea. I can’t wait to try this. Wow! Such great give aways! Thanks for the chance to win! I love that you featured a three-dimensional embellishment (Paige’s rosettes)that isn’t too thick. I always struggle to get the balance between bulkiness and layering! Fantastic prize package for a great birthday celebration. Happy 11th. Pinwheel layout is awesome. Thanks for the inspiration and the chances to win excellent products. Happy Birthday!! That page by Paige is just STUNNING!!! Thank you for the chance to win! Lovely prizes. I love the project ideas too! So much wonderful here today – YAY! Thanks to Simple Stories, Therm o web and Stampin’ Up. Another fab day of celebrations. Thanks to scrapbook and cards today and all their supporters for their generosity, again happy birthday and thanks for the chance to win some yummy treats. Thanks to Simple Stories, Therm O Web and Stampin Up! for all these great prizes! And thanks for the chance to win them. More great inspiration & prizes, so fun!! I love Paige’s work! She’s so hands on like I am. She comes up with the best layouts! I’m really enjoying the Deco-foil and I’ve been drooling over the Domestiv Bliss Collection! Yay! This layout is stunning, Paige!!! I’m excited to see what day 3 holds. Just like the magazine the prizes get better and better!! Happy Birthday SCT, and thanks to the sponsors for these wonderful prizes. I just love those low-profile rosettes! Wow, lovely prize pack & SCT is aready 11, amazing! Oooh, those pinwheels are so fun and cheery…love them! Day 2 is another winner! Happy birthday! Thanks for including your readers in the celebration! Love the Balloon stamp and die set! woot! woot! Awesome day 2! Happy 11th! Love the paper rosettes and thanks for the chance at the awesome prizes. Love the bright and colorful celebratory pinwheels! They are so fun! Happy birthday! Again, wonderful prizes. My goodness! I’ve been swooning over the SS Domestic Bliss line and all the other fun goodies by both great sponsee companies. Amazing rosette project too. Thanks! I’m enjoying your birthday celebration!! Thanks for sharing!! Love the layout – the pinwheels are so pretty! This all looks amazing! I love that layout, so bright and fun! Day 2 is just as amazing as day 1! Thanks agin for all you do to help inspire us paper crafters! Just discovered this page. How wonderful! Will be back often! Another amazing prize!! Happy birthday!!! Such cute pinwheels! Great idea to go micro. Happy birthday SCT! I love the paper rosette bouquet – thanks for sharing with us! Thanks to Paige Evans! She’s a paper-crafting wizard. Thanks to SCT’s amazing sponsors too! Happy Birthday!!!! wonderful rosettes!! I have made them during workshops but did not want to use the pages as they were too thick. I am going to give yours a try. Thanks for a chance to win! Thanks to the sponsors. Terrific prizes. The pinwheels are amazing!! LOVE the layout!! Spectacular prizes from some great sponsors! Thanks! You make such a wonderful habit of giving readers great giveaways! I’d love to win any of them. 🙂 Happy birthday! That layout though!!! Those pinwheels are stunning! This inspires me a lot. Today’s prize package looks amazing – thanks so much for the chance to win! A layout with rosettes? !–so unique & wonderful! Thanks for a chance to win the great prizes! Hats off to Paige- I have no patience for rosettes no matter the size. Once again- today’s prizes are beyond amazing and generous. Thanks for sharing this beautiful collection of rosettes! I love the idea of making them flat by making the folds close together. Much more manageable on projects. Imcreible Paige!!! Y esos globos son impresionantes. Happy birthday. Love the Simple Stories Domestic Bliss. Wonderful colors. Happy Birthday!! I will save you the agony of hearing me sing you guys Happy Birthday! lol. Awesome prizes–thank you for the chance! LOVE the page with these fancy pin wheels. Great ideal. Thanks to all your sponsor and you for the wonderful give away. Happy 11th Birthday and thanks SCT. Bowtiful-cute simple card, also love that StampinUp giveaway…would be fun to win and use, another day of wonderful prizes and projects. Happy Birthday! Love SCT – love celebrating with you! What an adorable page, those rosettes are amazing! Awesome prizes too! Thank you, Paige, for the awesome video! I’m really impressed with your tiny pinwheels and I like the paint splattered background. Thanks, as always, to SCT’s wonderful sponsors. lovely colourful layout, the rosettes are simply refreshing and awesome! Paige Evans never ceases to amaze me with her creativity! And S&CT never ceases to amaze me with its amazing giveaways! Amazingness right there! Here’s to another 11 years and then some! I love the pinwheels. They are so festive and perfect bday pages. Best way to celebrate good things is with good friends and you have many! Happy Birthday!!! The pag is beautiful and I love seeing what you can do with products!!! Amazing prizes, amazing projects. Happy birthday! I love those balloons. Very nice. Happy Birthday!! Thanks for the giveaways! Amazing prizes! Thank you for the inspiration and chance to win. We are getting our cake and eating it too today! Such great presents I mean prizes! Gotta love birthdays!!! Wow! Beautiful projects and Sponsors!!! I love that layout – how colorful! The layout is beautiful …. great prizes! I love these rosettes. Fabulous page too. Thank you Simple Stories, Thermoweb and StampinUp for the amazing prizes. Thanks for sharing in your celebrations! Happy 11th birthday SCT! Seems like just a blink of an eye…great prizes to help you celebrate! I LOVE them!!! I would love to win, too! Those pinwheels make a super happy card! Thanks for all the inspiration over 11 years. Looking forward to many more to come. And again, another crop of fantastic prizes! There are going to be some really happy lucky people by the end of the month! Visited the sponsors…..always so many wonderful ideas to,see! Thanks once again!! What a fun celebration of your 11th year! Thank you for the chance to win some great prizes!! Great giveaways for a great celebration! Wow, more amazing prizes! Thanks for the chance to win! And thank you for making a magazine I can actually hold in my hands! These are amazing prizes! Thanks for the opportunity to win. Loving these prizes! Thanks for the opportunity to win! Congratulations on your 11th year. What a great giveaway. 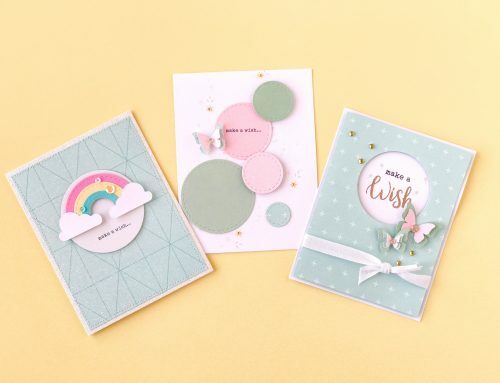 I’m beginning my card making experience and these projects are very inspiriing. Here’s to many more years of creation. What joy would be in my heart to win something !! Thanks for the chance to win, what awesome prizes! What an amazing layout and wonderful prize package. Happy Birthday..mine was yesterday! Life should be celebrated no matter your age! Thanks for the ideas & beautiful products! Fabulous prizes from fabulous companies! And an amazing layout too. Thanks and happy birthday! Love the pinwheels, it’s a such a beautiful embellishment! Great prizes and great layout. Super cute layout! Amazing prizes today! Thanks for the chance to win! Happy Birthday Day 2! Awesome prizes! Thanks for sharing. Love simple stories! Love the balloons! Fantadtic giveaway! I hope I win! Congrats on 11 years!!! I am new to this whole paper crafting fun.I am so looking forward to the Crop and Create this fall!! Your magazine is amazing and so full of information and ideas. I would love to win a prize!! Very festive layout. Thank you for the demo on the pinwheels, no excuse now for not adding to my layouts, love the papers you chose. Happy 11th anniversary Scrapbook and Cards Today. Happy Birthday! Fantastic giveaways today! I love all these prizes !!! What a great way to celebrate 11 years of SCT!! Day Two and still rocking this celebration!!!! Happy happy birthday!! 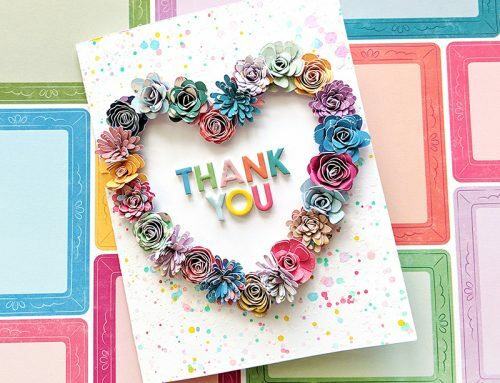 Thank you for Paige’s Process Video of making the Paper Rosettes and her layout. And congratulations on your 11th Birthday! Wow, what amazing products. Congratulations on your 11th Birthday and thank you for sharing with us. Amazing cards, Happy 11th Birthday. First day of spring, it’s my birthday too!!! Such a beautiful collection of gifts. Happy Birthday! Great prizes and a great project! 11 years – Congrats!!! This layout totally brings out the party! I love it and thanks for the help on creating these awesome rosettes! Wow! An awesome layout! Thanks for sharing how you did it. Unbelievable prizes. So glad SCT is having a birthday! Many more. Thank you to Stampin Up, Therm O Web and Simple Stories for doing the contest for SCT’s anniversary. Happy 11th anniversary with many more years to come!!! Happy Birthday! Love those papers, dies and stamps. Thank you for the chanced to win some. Amazing prizes! Happy b-day SCT!!!! Your birthday and you are giving away prizes! My kind of place! LOL! Congratulations on all of your years of success, and here is to MANY more! Happy Birthday and thanks for making us all part of it! Thank you also to Simple Stories, Therm O Web, and Stampin’ Up! for the generous prizes. Wow! Two of my favorite companies giving away great prizes. Thanks! Happy 11th Birthday and congratulations on your success ???? Love Paige’s pinwheel collage! As always, thanks for the inspiration!! Congratulations on your Birthday! Hope you have many many more 11’s to come! Thanks for the giveaway too! Love the hot air balloons. Can’t wait to use them. Wow!! The surprises just keep getting better!!! Happy birthday, my scrappy friends! Happy 11th!!! Looking forward to many more years of great products!! loved the video -thanks for the chance to win! Love the hot air balloon card! Such great birthday prizes! Would love to win! So very pretty! Thank you sponsors and Happy Birthday SCT . Many more!!! Wow! Amazing layout, and the prizes are awesome too! Wow, can’t believe it’s been 11 years already! you always have such great prizes. Thank you and Happy Birthday. I see so many scrapbook places disappear I hope you have many more birthdays. What fantastic giveaways! Thanks for the chance! Love all things Paige Evans and I love the giveaway products. Thanks for the chance to win. Love, love, love the pinwheels. I too, know how difficult the pinwheels can be to make. This is an awesome giveaway. Happy, Happy Birthday!!!! Thank you and love the goodies!!!! Yay, day 2!!!! Happy Birthday and thank you!!!! Love the goodies!!! Happy Birthday on your 2nd day. Thank you and Happy, Happy Birthday!!!! The rosettes are so festive! Thanks for sharing this technique. Wonderful project!! I love it! That layout is a real eye-catcher. And the stamp set looks like it holds so many possibilities. Happy Birthday, fabulous gifts to be giving away. Continue the inspiration. Three more very generous sponsors! You guys are the best. I love, love the rosettes. I’ve never tried to make them so thin; I’m inspired now to give it a try. Thanks for sharing. Happiest of birthdays to you! The prizes are awesome! Happy Birthday! Thanks for sharing and a chance to win! Love the layout and the colors. Happy birthday! What a fun giveaway! Thank you! Such awesome prizes. Congrats on your 11th birthday and Thanks for sharing all the magic with us. Happy Birthday 11th! Not many times that a birthday comes along and the guesst get gifts! The giveways are marvelous! Thanks for sharing goodies with us! Happy Birthday. Thanks for another great giveaway. Wow!! What a lineup of wonderful prizes!!! WOW! more favourites to add to my ever growing stash,lol. Love the pinwheels and video. Thanks for sharing. Love the sponsors and prizes. Loving the pinwheel layout. Can’t wait to get my scoring board out. And Happy Birthday! I love Paige’s work – always so beautiful. Thank you for the opportunity win these great prizes!! WOW!!! That layout is STUNNING!!! Love this pinwheel layout. It is a gorgeous project. Great sponsors and giveaways. Thanks for sharing and inspiring us. Happy Birthday all the best in the coming year… great blog post share today. WOW! a work of love – those rosettes! Just learning how to use diecuts with stamps and I love the balloons. They look so uplifting…. Another terrific line up of sponsors for your 11th birthday celebrations. Love these products and I am in awe with the deco foil. Wow….fabulous prizes for day two…hot air balloons are my favourite!!! Happy 11th celebration!!! Always a great source of inspiration, Happy Birthday! Those pinwheels are beautiful! Such a fun idea!! Happy birthday!!! Such a lovely layout from Paige – and lovely prizes from the sponsors. Thank you! What wonderful projects! Thank you for the chance to win! More amazing prizes. Thank you generous sponsors. Love this and Happy 11th! Wonderful post! Thanks for letting us share in the celebration! Love the pinwheels. It has my head spinning with ideas. Thank you to the sponsors for providing such great prizes. Happy birthday 11th birthday. Love, love, love the sweet rosettes. Amazing prizes and the page with the pinwheels is so awesome!! Happy 11th SCT! Great prizes again today! Thank you Simple Stories, Therm O Web and Stampin’ Up for these amazing prizes! any of them would be welcome in my stash! What amazing giveaways, thanks for offering such great prizes on your birthday SCT we love them all. Beautiful project I will certainly try! Thank you! loved the layout! the rosettes are gorgeous! Congratulations !!!! Very nice page !! Thank you to all the great gifts! Thank you for these adorable prizes and for great inspiration projects for us your readers! Keep them coming! Happy 11 SCT! Thanks for always being there! Beautiful Day 2 post. Thank You for sharing with us. So colorful. What a great page that is. Have to try something like that for my pages. Thanks for sharing. Great post and great prizes! The deliciousness continues! Amazing prizes. Thanks to the sponsors. Thanks for the pinwheel instructions. Thank you sponsors! Fun layout! Love the colors of the pinwheels with such great detail. Thanks for sharing this idea!! Great layout. Some amazing prizes also. Awesome! 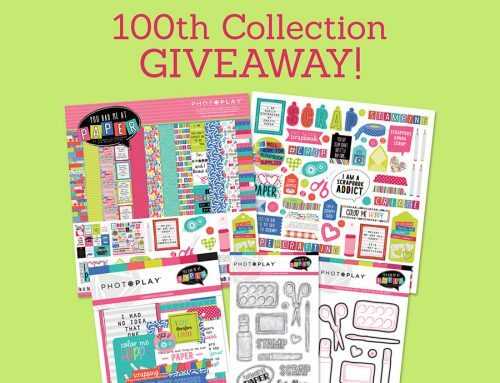 As a new paper crafter I would love to win those lovely supplies! Imagine the possibilities. Wow, happy 11th birthday. Love Paige Evans layout, she is always so creative. Thank you Simple Stories, Therm O Web and Stampin’ Up for celebrating with Scrapbook and Cards Today! My layouts usually take hours to create as well but the result is so worth it. Your project turned out beautifully. The ideas are endless with so many ways to use them. Thanks for sharing. Some really nice projects here. So many beautiful layouts. Lovely layout Paige! Simple Stories, Therm O Web and Stampin’ Up! are incredibly generous sponsors too. Thanks and Happy 11th Birthday. Fantastic pinwheels! I’m in love with that page! Awesome prizes! Thanks for having a birthday SCT! Congratulations on your 11th year!!! I am so excited to try this technique!! Happy birthday SCT! Love that pinwheel technique and those prizes are pretty darn good too! WOW, WOW, WOW. Amazing layout from Paige! I cannot wait to scraplift! Wonderful prize package. Would be great to win! I love pinwheels! Loving your birthday celebration! Congratulations on 11 years SCT. Thank you Stampin Up!, Therm O Web and Simple Stories for this awesome prize! Stunning layout. Thanks for the chance to win. Beautiful pinwheels! Ive never used them before, but now…I think I must! Great rosettes. Thanks for another great giveaway. Amazing layout! Fantastic prizes. Thanks! Wonderful give-aways! Thank you for the chance to win. I think that hot air balloon would make a great card that said something in the form of, you Fly Away With My Heart. Wow, that layout is amazing, I don’t know if I would have to patience to keep trying but it looks great! Thank you for the chance to win some great prizes! Love Day two and Thank you to the sponsors and Scrapbook and Cards for another delightful post. Congratulations and Happy Birthday! Good luck to everyone in the draw. Loving this project. Thank again for celebrating you birthday with us and for the amazing giveaways. Love the pinwheels and the parties so far. Wow! Another great prize. Love Stampin Up! The video for paper rosettes was useful! Thanks! The rosettes are so cute. I am working on Disney albums right now and am thinking they would make a cute Mickey silhouette. Love, love, love these pinwheels! They look great for a birthday layout – I watched the video, and am geared up to give this a try myself. Happy Birthday SCT (and Jane)!! Wow – those pinwheels are amazing! Thank you Paige Evans!! Oh my! Paige’s layout is absolutlely stunning! Happy Birthday to the best customer service out there. Thank you. very cool technique with the folded rosettes! Wow, those rosettes are amazing!!! Happy 11th Birthday Scrapbook Card and Today! I Love the layout! Thank you to Simple Stories, Therm O Web and Stampin’Up for your Birthday celebration and a chance to win!! I love the pinwheels tip and instructions for the micro pinwheels. And hot air balloons are always fun. Would love to win this prize pack. Congrats on 11 awesome years!!!! This layout is fantastic! I have made valentines for my son’s class using this technique, very time consuming but the effect is so worth it. Here’s to lots more birthdays!!! I love the birthday pinwheels layout but I’m not patient enough to make that many! Thank you for sharing your lovely work and thank you to the sponsors of today’s giveaway! Happy Birthday!!! Amazing sponsors!!! Whoop! Whoop! Oh Paige….You never cease to amaze me! That is so beautiful!!! Then to combine it with two of the best companies in the world… WHOO!!! ? Wow what a layout…love the dimension. Happy birthday! Great project!!! Love the new kit. Those rosettes are just darling and add such a sweet touch to your layout! Such a simple design but the effect is lovely. WOW! awesome prizes! Happy birthday SCT! Great prizes and projects! Happy Birthday! Wonderful prizes, and I just love the pinwheel idea! Paige did an awesome job – as usual. What a fun layout! You are very talented and creative! Love everything about Day 2 and SCT!!! cute embellishments, thanks for the inspiration and chance to win! Love the paper rosettes on this layout! I always use my Tim Holtz die to make them. Now I will have to try to make my own 1/8th inch ones. I love making rosettes. I have made quite a few wreaths out of them. Awesome prize packages from AMAZING and GENEROUS companies! 🙂 This is quite the birthday bash! This is an incredible giveaway! Happy 11th birthday!! Fantastic page! Love the pinwheels and the colors! How fabulous – love those rosettes! Congrats on 11 years! The best birthdays are the ones where we don’t age but get the presents! Thanks for the opportunity and Happy Birthday! great along with the gorgeous sponsors. Thanks for the chance to win. Super fun and creative projects! Thanks for the ideas and Happy 11th BDay! Fantastic prizes!Happy 11th birthday and best wishes for many more! Awesome prizes. Love all the products. Wow! That pinwheel layout is amazing! What great prizes for the give away. Thanks for sharing everything with us. This is so generous and so amazing! What a fun layout. Thanks for the opportunity for such great prizes. Such a lovely page, thanks for the inspiration! Cheers to many more years of celebrating. These rosette’s have always fascinated me and the video was fun to watch. So many uses for them. Thank you for including us all in your fun celebration and your give aways! day 2’s project is amazing! Day two!!! Fabulousness! Thanks for letting us celebrate with you! Woo hoo! This is so fun! Happy birthday!!! I’ve always struggled with bulky pinwheels too, those ones are perfect! So many cute products, I love the domestic bliss pack! Happy Birthday SCT, thanks for all the giveaways ! Happy 11th birthday! I LOVE the pinwheels on this project!!! Great prizes on today’s giveaway! I love, love, LOVE that collection from Simple Stories!!! Thanks for the chance to win! That is a great layout. It reminds me of one that I did a couple of years ago for my birthday. Thanks for the chance and Happy Birthday. Love the pinwheels and the amazing prizes too!! Another amazing day of prizes from awesome companies! Celebrating with SCT and their partners is so much fun! Happy birthday! Love your amazing sponsors! Thanks ever so much for the chance to win gorgeous prizes. Paige those pinwheels are so pretty! Thanks to the sponsors for another great day of prizes! What great papers for a fun summer layout and definitely birthday card worthy! Oh happy birthday, love the wonderful creation! Great layout. I love that the rosettes are only an 1/8″ high to reduce the bulk of the page. Brilliant. It was awesome, the card was the best ever! I adore all those paper rosettes! So fun and colorful! Thanks so much for a chance to win. Fabulous projects ladies, totally inspiring!! Swell prizes. Thanks to these sponsors. LOVE the pinwheels! I’ll have to give it a try! And birthday congrats! Happy Birthday! Here is to many more. Inspiration and prizes all in one place. Thanks SCT and sponsors! Up, up, and away! The hot air balloons remind me of a great song from the past. More great prizes. Can’t wait to see what’s coming next. Another day of great prizes!! Love the Simple Stories! Have fun celebrating SCT!! Congratulations on 11 years. Happy Birthday!!! Great prizes. What a splendid idea Paige came up with to use the pinwheels in her layout – very stunning and suitable for a Birthday celebration! Another day of great inspiration and wonderful prizes! Happy Anniversary, SCT! cool prizes…and what an awesome project!! Love the layout, rosettes are one of my favorite embellishments! Happy Birthday!! Day two, these are jaw dropping prizes ? Up up up and away. You guys always lift up my creativity! Don’t stop! Happy 11th. Happy Birthday!!! Day 2 is another array of awesome prizes. Thanks again. love love this layout and all the color paper rosettes! Such an awesome selection of prizes. Happy Birthday! Beautiful page layout and thanks for the tutuorial. Now I want to make rosettes too! Totally in love with this! Thank you! Well done Paige. We could all use some ‘Domestic Bliss’! Day 2, and the party is just getting started. WOW!!! love Simple Stories, Therm O Web and Stampin’ Up! These little rosettes are so cute! Love it! Oh they are simply adorable! Thanks for the inspiration! Happy Birthday Season! I would love to win the Lift Me Up bundle! It reminds me of the hot air balloon ride I gifted to myself for my 40th birthday! Congratulations! I would love to play with and cherish these items! Wow!!! Great prizes! Thanks for the chance to win! I feel so inspired! Thanks a lot for great project ideas. Love these rosettes! I just made some on a much bigger scale for a baby shower I hosted recently, now I’m going to have to try the itty bitty version! What great giveaways today, thank you. Happy Birthday!! Awesome prizes! Thank you! I love the pretty rosettes!! Such awesome prizes! Happy 11th SCT! Another day of great inspiration and great prizes. Love that hot air balloon set from Stampin Up and Simple Stories always creates some of the best lines. Beautiful prizes, and happy 11th birthday, day 2! Wow amazing prizes! I’ve had my eye on those hot air balloons from SU! Wow! What a beautiful layout! I’m not sure I’d have the patience to do that but it sure does look great!!!! Thanks for the chance to win some amazing prizes!!!!! I LOVE your pinwheels design layout Paige. What a great birthday theme!! Thank you Simple Stores, Thermo Web and Stampin Up for great giveaways. Super cute! Awesome and creative projects, thanks for the ideas! Happy birthday again! I think I up which day I was commenting on and commented about the beautiful layout with the rosettes! So stunning! Thanks for sharing! Oh my gosh, Thermoweb!! Would love to try their products out! ? Happy Birthday SCT! Whoo Hoo! Ooooo I am so loving these pinwheels! I’ve never tried making them but you’ve inspired me to try! Such awesome sponsors – Thank you to all of you for providing these prizes! Thank you, too, for the chance to win! Love the rosettes and colours! So many excellent companies in your magazine! Such beautiful little pinwheels! I am very anxious to watch the video and to make some for my layouts!!! Thank you SCT and to all of your wonderful sponsors for all you do and for hosting such a wonderful 11th Birthday Celebration. Cheers for many more celebrations to come!!! What an ambitious layout. Amazing. Thank you to the corporate sponsors on Day 2. Wow such amazing prizes!!! Thank you to the amazing sponsors for their genorsity in their continued support over the last 11 years!!! What an impressive look all those pinwheels make! Wow! Thanks for the design ….. And Happy Birthday SCT Woohoo ? Eeeekkkkk, what amazing prizes!! Thanks for the chance! Also, this scrapbook layout and design is simply stunning! I love the intricate rosettes and the choice of paper. They look so beautiful together. Definitely need to try the 1/8 inch score marks!! Loved how you could see more of the image in the papers used. Great giveaways & really good tutorial! Love the accordion folded pinwheels! Happy Birthday! Wow those rosettes are amazing! I love all of that and happy 11th anniversary! Congrats on 11 years. You rock! Love, love, love that Stampin’ Up stamp and die set. I’ve seen many cards using that hot air balloon and love it. Love the pinwheels! I like working in small sizes also. Congrats on 11 years!! Thanks for the amazing giveaways. Thank you to all these sponsors! Awesome prizes! What wonderful projects and a terrific prize package! Love the rosettes, great ideas and another great give away! I love the prizes on offer, especially the Lift Me Up Clear-Mount Bundle. Have a wonderful 11th birthday, SCT! Amazing prize giveaways!The rosettes are beautiful!Thanks for the opportunity to win! I’ve been itching to get my hands on this Domestic Bliss collection because it’s sooo cute! Thanks for the chance to win! Those pinwheels look great! I don’t think I would have had your patience to make one let alone 9! Another great day of projects and prizes. Keep the celebrations coming! ??? Happy 11th Birthday. Love all those rosettes – so colorful! Fun layout! Congrats and thanks for the chance to win! Oh, oh!! I love that Some Stories Domestic Bliss collection. Thanks for giving me a chance to win it. Love those cute little pinwheels – great job! What a fun layout and so many awesome prizes, good luck everyone! What amazing prizes, thank you to all three sponsors! I especially love the Lift Me Up bundle, but I hardly ever think to scrap the realities of domestic life and really like the idea of that. Happy DAY 2 birthday celebration!! Just LOVE the layered rosettes on your layout, Paige! A little bit of paper and voila .. instant WOW! Thanks SC&T for the chance to win this AMAZING bundle of prizes!! Such a cool layout! Love those rosettes! Thank you for the pinwheel lesson. They are awesome. Great prizes. Thank you. Love the layout with the pinwheels. Might have to add some of them to some cards. Love the pinwheels and Paige Evan’s style! Happy Birth SCT! So fun! Thanks for sharing and the chance to win! Holy smokes, gobsmacked! Nice layout, Paige. I mean, wow! Thanks so much to the sponsors for their generosity! Thank you for your Day 2 give always from such great partners. Thanks for sharing! I love simple stories, and I love hot air balloons! super cute stuff! Happy Birthday! Love those hot air balloons! Wow, awesome products for day 2. It’s wonderful that all these companies get together to celebrate. Wow! Rosettes are amazing ? I love Paige’s ideas!! Celebrate good times come on!!!!!!! Thanks so much! For the opportunity! Thanks to the sponsors for chance to win. Love the inspiration project. I liked the video about making the accordion rosettes. Thanks to Simple Stories, Therm O Web and Stampin’ Up! for being a sponsor. Stunning LO, I already saw the video. I’m in love with the balloon dies. Love those Rosettes!! Beautiful arrangement. The pinwheels are adorable – And what great prizes from your sponsors! Congrats on your 11th birthday again on Day 2! Paige’s rosettes are stunning and that layout of hers is beautiful as always! Congrats on 11 years! What a great way to honour all your readers and contributors! This is simply a WOW! I have been so inspired by the spring projects. Thanks, SCT! BEAUTIFUL page Paige!! !Love it so much. Great prizes again. Woo hoo!!! Happy 11th! Looking forward to many more years from scrapbook & card! Thank you sponsors and SCT for these amazing prizes! And that layout is really eye-catching with all those pinwheels. Congratulations on #11. Great prizes. love paper rosettes! am so excited! I love those hot air balloons! They are so adorable. As always Simple Stories has come up with something unique and funny! Those pinwheels are absolutely gorgeous! Fab inspiration for day 2. Oh! Great inspiration. Thsnk you for the ideas. Wow. Not sure I have the patience but would to try this LO. Congrats on your 11th Birthday! And thanks to Paige for the glue note on the rosettes! I have tried to make them before, but the glues I have tried (and I’ve used several) were never strong enough to hold the rosettes together for long. Thank you, thank you, thank you! Can’t wait to see who wins! Love the paper rosettes!! Thanks for the chance to win! Love these products and I will be adding those pinwheels to my project “to do” list. Thank-you!! This page totally inspired me to make a 4th of july fireworks page. thanks So much!!! Three of my fav companies, especially Simple Stories! Such a labour of love, those pinwheels are incredible!! Thanks for a chance to win an amazing prize! Love today’s projects and sponsors. Congrats. Happy Birthday! Great prizes and great inspiration. Love these stamps and dies…they always have such cute things. Always fun with Stampin Up, Simple Stories and Therm O Web! Never would have thought of using my scoreboard for tiny rosettes! Great party decorations too! Happy 11! Love Paige’s creation, in fact love all of her creations! Fabulous prizes again! Birthday congrats! Love the paper rosettes. Another day of Birthday celebrations and great prizes. Thanks so much to today’s sponsors. Amazing prizes! Thank you all for contributing to SCT birthday giveaway! Adorable the products used today and what generous prizes! Wow!!! the pinwheels are bursting all over the layout. it is amazing and love it. Amazing prize package! Love the foil, dies and paper collection! Happy 11th Birthday!! Love you guys. Love the pinwheels too. Love the hot air balloon stamp and die set..Super cute! Thanks for the chance to win! awesome sponsors and prizes! good luck! Great prizes! I’d love to win! Day 2! Amazing! I hope I can find more time soon to create and play! These would so help! beautiful paper designs! awesome pinwheels!! Happy Bday!! Love that page beautiful !! Great prizes too !! Love Simple Stories! Happy 11th, and thanks to great sponsors for the chance at these prizes! Great Prizes! Thanks for sharing! This design is awesome! Love the giveaways. Fantastic prizes!!! Hot air balloons are amongst my favourite things. Thanks for sharing your birthday celebration with us! Love the ultra thin pinwheel/rosette embellishments. Love the prizes. Love the magazine. I always love Paige’s work! I can’t wait to watch the video! Wow, such amazing prizes! Happy Birthday! Yum yum yum!!!! I am definitely going to try out those paper rosettes. I barely use my scoreboard and now what a great excuse to dust it off! The dies are literally to die for too lol. Thanks for the opportunity!!!! The pinwheel fans are amazing. Such a generous prize package. All those rosettes…so cute! Thanks for the wonderful magazine, website and classes. Thanks to all the great vendors adding to the celebration. Love the folded technique! Congrats on your success! Great layout, cards and giveaways! Amazing prize package. I love all of it. WOW….great things going on here ! Happy HaPpY BiRThdAy !!! and lucky for us you will be here for many more years to come ! wonderful prizes! stampin’ up and simple stories are two of my favourites and thermo web goodness is in the ‘never enough’ category. thanks for a great giveaway and happy anniversary! WOW, Great lineup of sponsors for todays prize. Thanks. So much fun! Happy Birthday!! The pinwheels are so festive and colorful. Perfect for a birthday celebration. Congrats on 11 years. Thanks as always for the great techniques and inspiration. Pretty rosettes and inspiring ideas. That’s why I love your magazine. Beautiful prizes, love them all! Wow – what a great layout ! I love the rosettes. I need to try those more often. 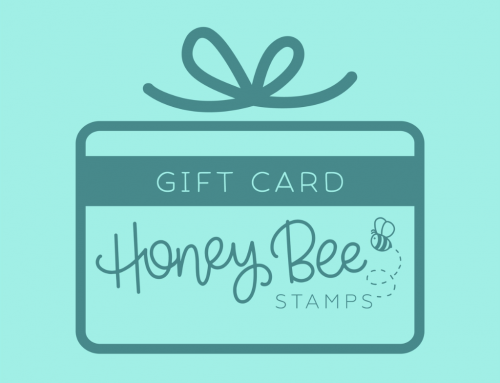 Great prizes – I love Stampin’ Up! Love the sentiments on the prize for the day. Gorgeous layout! Thank you Paige for the inspiration to try something new on my layouts. Love the balloon dies! Great cards! Thank you for organizing this celebration event so that we can see new products from the leading manufactures. Appreciated. Such amazing prizes. Thank you for giving us the opportunity to win them. Thanks for the very cool layout and video today and the chance to win such wonderful prizes! These are such lovely gifts. Thanks so much for the chance to win! I love Paige’s layout, So vibrant and cheerful! Thanks you for all sponsors for such great prizes! Happy Birthday! Another day of great prizes. The layout is amazing – excellent job! What great prizes! Happy birthday! Awesome prize pack! Thanks for sharing! Wow what great prizes for day 2. Thank you so much. And a wonderful layout from Paige. Congrats on your 11th birthday. Thanks for sharing some goodies. Awe-inspiring page from Paige. I love all the elements on it. Great prizes too. Thank you for the chance. Luv,luv, luv pinwheels!!! Haven’t done any on layouts yet but seeing this wonderful layout has inspired me to get trying it. Thank you so much to Simple Stories love you, Therm O Web you have wonderful products, & Stamping’ Up what can we say you’re always amazing. What a fun, dynamic layout – love the colours and textures. A wonderful way to celebrate the birthday. Also another wonderful prize! Great sponsors and prizes. Thanks for the chance. Yay! So many exciting things to cheer about!! Congratulations on 11 years and counting! What a creative idea on a scrapbook layout! Thanks to the sponsors today for their generous prizes! Absolutely gorgeous layout. I really love the card as well. It is so elegant and the light colors are beautiful. Foil looks like so much fun. I have to try this. Paige’s layout is gorgeous and what great giveaways. Paige’s designs are so fun! Love that balloon set from Stamping Up! I love that gorgeous stampin up balloon set. Very generous and inspiring. I am so thankful for an opportunity to win these great prizes! This prize is Really quite great! Thank you so much for the opportunity to win, and good luck to everyone! These pinwheels are so fun! I love the idea that they are thin enough that they could be used on a scrapbook layout wihout adding a ton of bulk! Thanks for sharing and for lots of great prizes today, also! Those paper pinwheels are wonderful! I have to try out this technique! What an adorable layout. I always thought the rosettes were to bulky too but now I see the beautiful layout and I know I’m going to have tor try it! Absolutely love the hot air balloon die. Great cards. Love that awesome layout! Great prizes today!! Wow, that page layout is a birthday celebration in itself! Just fabulous! Love pinwheels and rosettes! Great giveaway! Happy 11th Birthday! Would love to win any prize!! Seriously, I’m celebrating right along with you! To show my support, I’m going to have a cupcake in your honor! ? Paper, stamps and dies. Some of my favorites. Thank you. Day 2 is great. Love the cards and the products. Happy 11th birthday!! Wow awesome prize congrats on your 11th. I love balloon themes – and those new papers from Simple Stories is just divine! Happy 11th birthday SCT. Rosettes always are fun and adding balloons makes a perfect birthday. Again, congratulations on 11 awesome years. The colours in this SImple Stories collection are so pretty! Love all the pinwheels, what a great idea. Today’s prizes are awesome. Thanks for a chance to win. Amazing prizes today SCT. I have the Stampin Up prize, had to purchase it first month of Sale A Bration. They make fantastic balloons. Congratulations on 11 years! Great blog! Wow! Your layout even FEELS like a party! Thanks for the great ideas and give-a-ways! Love the colors and love Simple Scrapbooks!! Amazing prizes! So exciting and happy 11th birthday! I love love love the party favors!!! THANK YOU!!! Happy Birthday indeed! As a new home owner I purchased the Domestic Bliss kit straight away, but I’d be able to FLY away with that beautiful Stampin’ Up balloon kit! Love the rosettes and the air balloon die cuts. Thank you for the chance to win! Love the Rosettes! Great prizes too! I don’t do bulky embellishments except when making a card or decor piece, but these are too cute, I might have to try to make these pinwheels for a layout! Cheers, and thanks for a chance to win some amazing prizes. More amazing prizes on Day 2!! Thanks again for the opportunity to experience new products! Beautiful products from your amazing friends at Simple Stories, Congrats to all at Scrapbook & Cards! Paige is so inspiring! Great prize, would love the chance to win! Love Simple Stories! Thank you for a chance to win! As I love making pinwheels, this was certainly a great layout. Thank you again for a great magazine. Happy 11th B-day. Love the pinwheels. Great ideas.thank you for sharing. And thank you to your all your sponsors. What a fun layout by Paige- she always makes beautiful creations! LOVE her vid! THANKS for the chance to win! Happy Day#2 of your 11th birthday celebration! Love the rosettes – gorgeous page by Paige. Congrats on 11 years of outstanding ideas and inspiration!! Love the paper 11. Cute! Thank you. Can’t wait to try these pinwheel. Love the pinwheels and the great prizes. What patience to do those tiny rosettes! Fab! Love those paper rosettes! What an amazing page! Thank you Simple Stories, Therm O Web and Stampin’ Up! Love the Pin wheels! Very colorful. The rosette made with the triangle paper was the first to catch my eye! Who knew?!? I love your rosette instructions. Mine are always waaay too bulky for a layout. Can’t wait to give your method a shot! What a fun projects, thanks for the chance to win such great prizes. love those pinwheels, the card is gorgeous!! it’s always exciting to see such great sponsors! This is gorgeous! Wish my boys were still little and having birthday parties . . . Cheers on your anniversary! Happy 11th birthday!And thank you to all for such wonderful prizes! I’m such a sucker for stamps with puns lol!! Thank you for the chance to win!! Happy Birthday and thanks for the chance to win these awesome prizes. Love this hot air balloon! So many possibilities…..thanks for the chance! What a pretty layout! Thanks for sharing your tips with us, and for the awesome prizes today! SO nice of Simple Stories, Therm O Web, and Stampin’ Up! to join in the anniversary celebration! Great collection of goodies! Thanx for the inspiration and blog candy opp! I love the hot air balloon stamp and die set, awesome! Wow those rosettes look amazing. So many wonderful prizes!!! I`m salivating!!! Amazing layout, more work than I would be willing to do. 🙂 Great sponsors for your 11th birthday. This prize is fantastic. Lots of fun things to create with! Those hot air balloons are so special!!! Happy Birthday SCT! 11 Years old…wow, where has the time gone? Can’t wait to try those pretty pinwheels this weekend! Gorgeous, gorgeous, gorgeous rosettes! Love them. Thanks to the sponsors for the great prizes! Fun and Exciting – such a grand celebration for your 11th birthday!! So happy for you!! This is a great project! Love the hot air balloons! The pinwheels are amazing. I promise SCT your prizes never disappoint. Happy 11th !! What an amazing milestone.